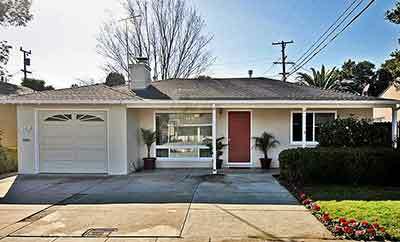 We buy houses in San Diego and the surrounding area. Let us make an all-cash offer on your house. If You Want to Sell Your Home Fast, We Can Help! We buy houses In San Diego county — in any condition. ​ We can give you a fair cash offer for your house. There is a lot to do in selling a house. Do you want to sell your house ​fast, but you ​​are frustrated by the ​process? ​We can ​help everything go smoothly and quickly. ​You may need to sell a home quickly for all kinds of reasons. ​For instance you may be moving, or downsizing to a smaller home, or going through a divorce? Perhaps you live out of town and are tired of dealing with a property. We help homeowners with unwanted properties regardless of the situation or the condition of the house. Whether you live in a property, or rent it out, or its vacant, or in disrepair--we can buy it. If you have a property in ​San Diego ​and you would prefer to get the cash and sell it fast, we’ll give you a no obligation fair cash offer. And then we can close as quickly as you’d like. There are some people who ​choose to sell a home using a real estate agent. They are willing to fix up a property and then wait ​months for ​a buyer to come along. And they are okay with​ paying commissions and escrow fees. ​We are looking for homes just like yours, regardless of the condition. Our goal ​is to ​helping you ​sell your home quickly and pay you a ​fair ​price for your house. ​All you need to do is tell us about the property. We’ll get in touch with you to give you a fair all-cash offer on your house within 48 hours. You can choose to accept our no-obligation offer or just walk away with NO commitment. It’s entirely up to you. Simply click on the button below and fill out the short property information form. All you need to do is tell us about the property. We’ll get back with you quickly to let you know how we can assist you.